I need you to be a People Artist. I need you to draw out the best in others at work. I know if you do it will make a difference for the person who receives the expression and it will make a difference to you, too. Yesterday I expressed and appreciation of a colleague from Singapore on LinkedIn. I wanted to let him know how much I appreciated him in a public way. I had no idea how public it would become. I looked at the post today and saw that it had 12,810 views. It made my day. Whose day are you going to make? Be a People Artist #beapeopleartist. We desperately need People Artists. We need people who bring out the best in others. We hear too much about the worst and fail to find, celebrate, and draw out the best. Please join me as a People Artist. Add color to your world to wash away the greyness of disengaged passivity and to obliterate the blackness of hate and terrorism. Be a person who brings out the best in others at work and everywhere else in life rather than a person who destroys, injures, and hurts. Life is too short – draw out the best. Everyone is an artist. Don’t wither. Don’t go negative. Lay claim to the artist you already are. It is time to use your senses. It is time to move beyond yourself and make work matter by ensuring people know that they matter. Artistry is a gift you give rather than a gift you have. People Artistry is a gift you give to others. It may even go beyond them and touch others you never see or never know. People Artistry is more than a pebble in a pond creating shallow ripples it is a positive explosion of recognition, gratitude, appreciation and engagement. It is connection that destroys mediocrity, passivity, and disengagement. And here’s the ironic thing, when you give the gift you receive the gift of moving beyond yourself and drawing out the best. Accept the invitation. You don’t have to do this but why would you decline? Why would you ignore what brings out the best. This is your daily hero’s journey. Your dragons are ignorance, busyness, and fear. Your light sabre is to see beyond yourself and to connect like there is no tomorrow. Be like all the people who race to get on every flight at the airport, they can’t seem to wait to store their excess baggage and to claim their seat. Get rid of your excess baggage of fear and disconnection and race into a flight of People Artistry. You owe a debt. Your debt is to the people who brought out the best in you. Perhaps your grandpa, your mother, your teacher, your brother, your friend, your co-worker, your boss. Don’t fail to pass the torch of drawing out the best from those who drew out the best in you. You already have the tools. Your tools are not in a box or cabinet. They are you. You have a heart to care. You have ears to listen. You have eyes to see. You have lips to express. You have hands to give. The time is now. Go ahead. Dwell deeply in the art of being human. Share your work. Enliven the blank canvas at work. Banish invisibility of others. Open your heart. Listen deeply. See beyond. Express fully. Reach far. David Zinger is an employee engagement expert and speaker from Canada who is in Istanbul to speak on employee engagement. He is also a practicing People Artist engaged in drawing out the best in others. People Artists: How to Draw Out the Best in Others launches in Montreal and Winnipeg at the end of November. Employee Engagement: People Artists Are Not Weary Travellers! On Friday I was returning to Winnipeg from Montreal. I had an hour before my flight and went to the Air Canada Maple Leaf lounge. As I scanned the lounge the travellers looked so weary and seemed impervious to the hard work of the catering and cleaning staff’s constant work to replenish food and beverages and to keep everything fresh and tidy. I always thank the staff as I move around the lounge but I took it upon myself to offer a little extra gestures of appreciation. I grabbed a business card and wrote a sincere note of appreciation for their work and how they made my journey easier and more enjoyable. As I left the lounge I said thank you to the last cleaning person I encountered and handed them my little note. Be a People Artist: As you travel through your workplace don’t be weary. Care, Listen, See, Talk, and Give. David Zinger is an employee engagement speaker and expert and the co-author with Peter W. Hart of People Artists: Drawing Out The Best In Others At Work. Do you have a recognition routine to draw out the best from the people you lead and manage? People Artistry is anything but routine yet paradoxically a routine is what can get you into People Artistry and sustain your work at bringing out the best in others for many years. In our time of energy depletion of having far too much to do and too little time to do it, intentional structure and routine operate as strong guides of behavior. 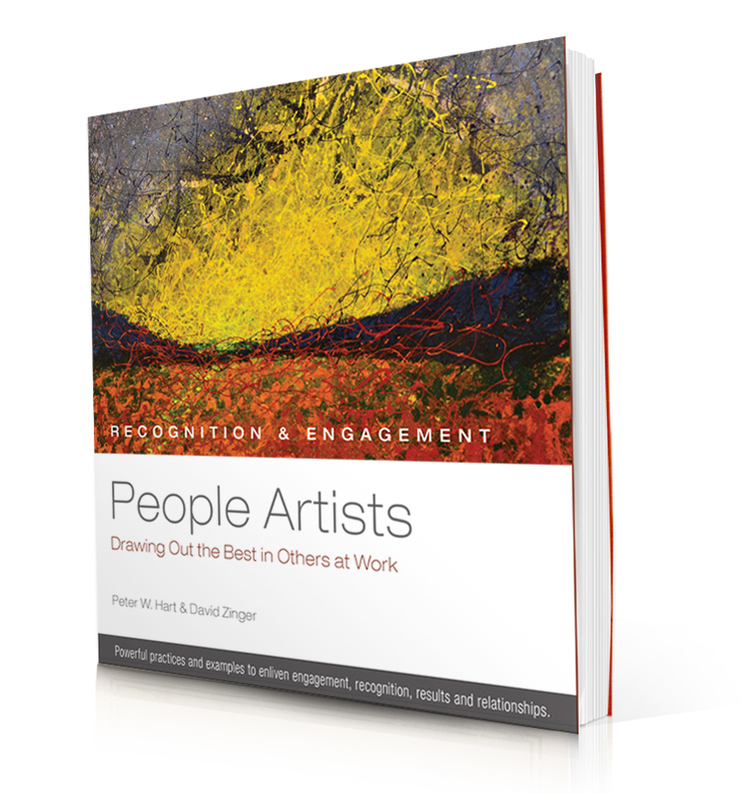 Watch for People Artists: Drawing Out the Best in Others at Work coming in October 2015. 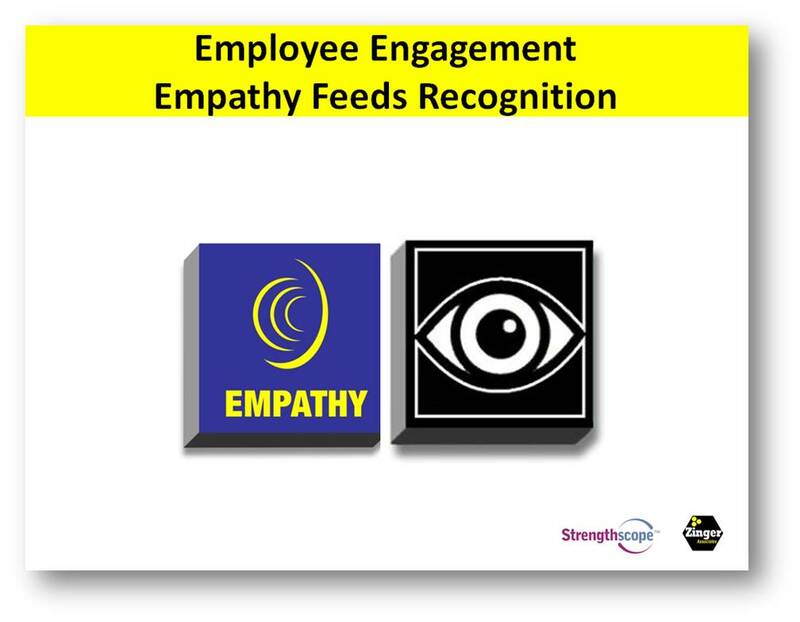 David Zinger is an employee engagement speaker and expert who joined forces with Peter W. Hart, an expert on recognition, to create People Artistry – an approach to making workplaces better for all.